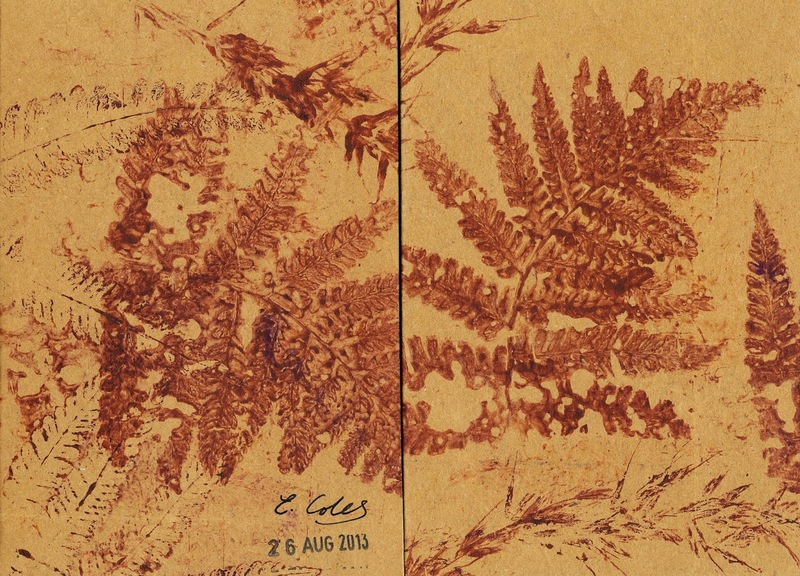 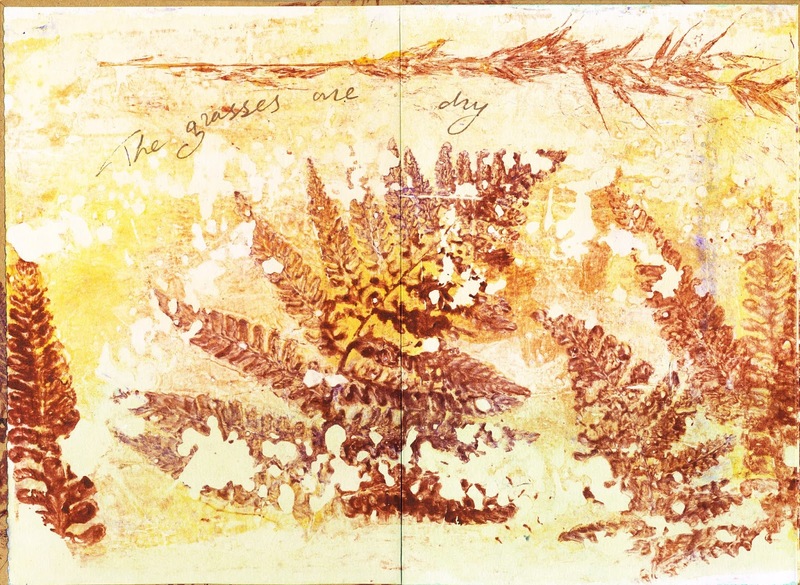 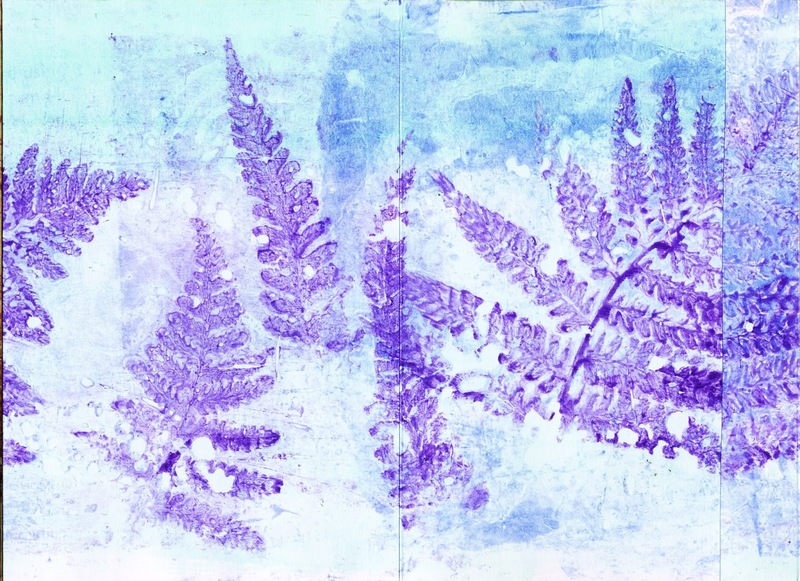 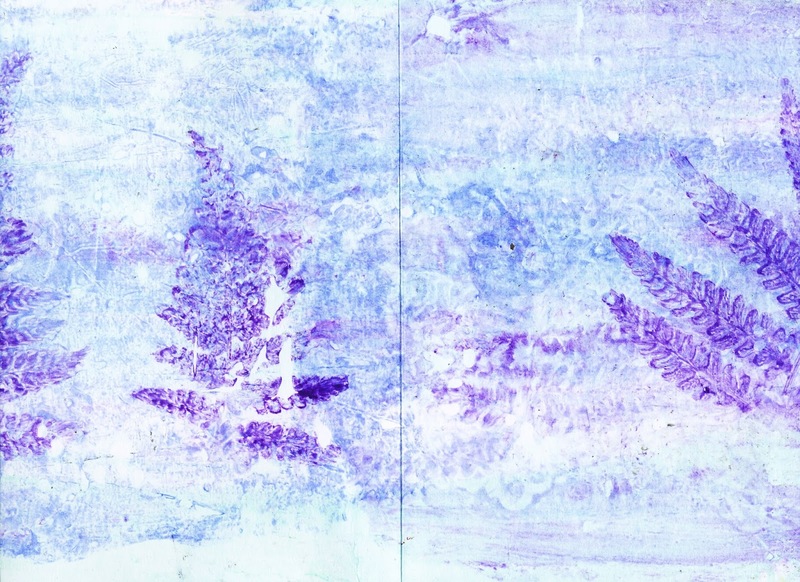 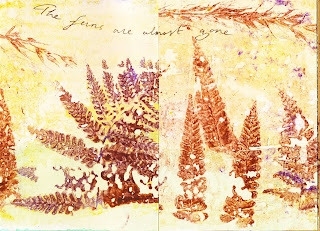 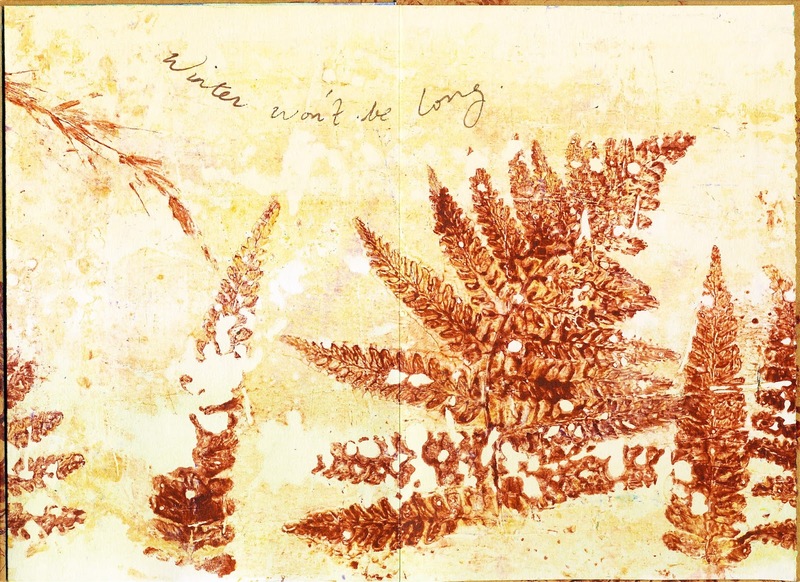 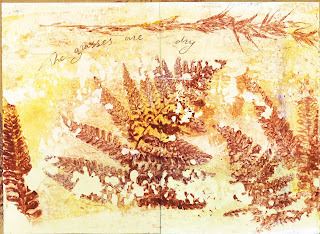 Emily Coles of Plymouth, UK sent this accordion-fold book illustrated using plant prints (from ferns growing on her property) with a brief poem added to the design. 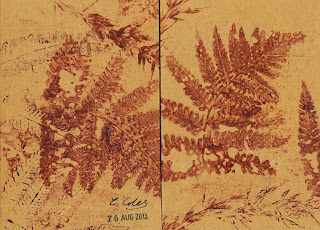 What a unique addition to this collection! 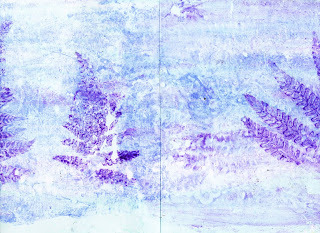 Shown in order are: pages 1 & 2, 3 & 4, 5 & 6; the reverse of the pages in purple, and lastly the covers.